Dwyane Wade is one of the greatest shooting guards of all time. His ability to carry the load for the team he was on, be offensively sound, and defensively aware made him such a dangerous threat. 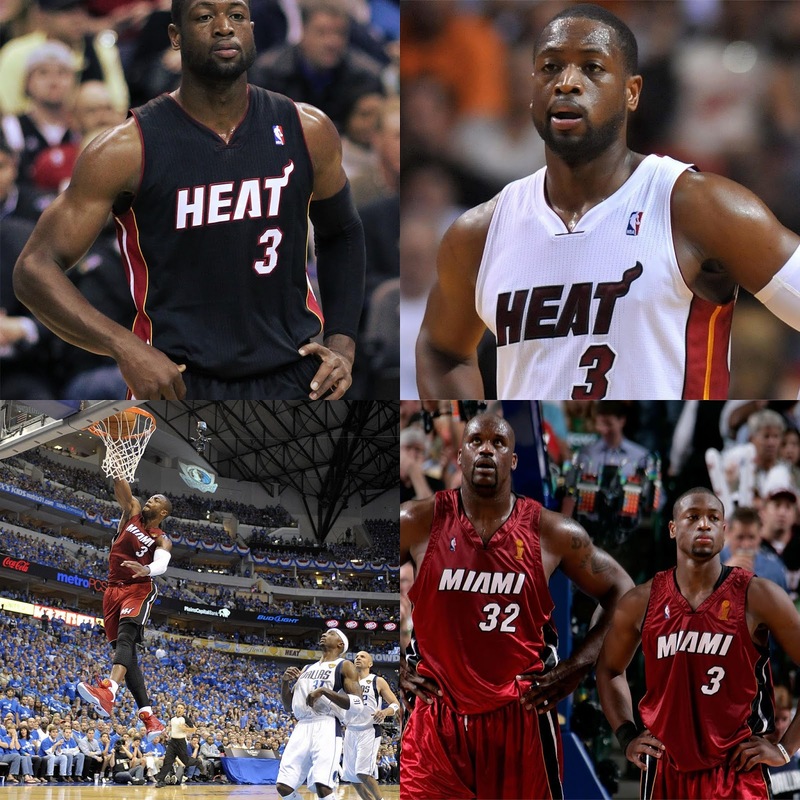 As a three time NBA champion, a scoring champion, a NBA Finals MVP, and more, Wade has built a legacy for himself over the years that will never go away. Recently, Wade announced that this upcoming year will indeed be his last season and that was met with some sadness from fans. 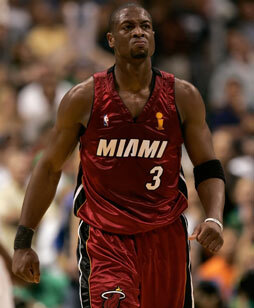 Wade in his prime was a monster and he should be appreciated as such. Today, we take a look at his 5 best seasons and it was tough to choose. Some seasons have more success than others and oddly enough, not all of his championship years make the years. Which years do make the list? Let's take a look. -I chose this season over the first NBA Title of the Bron and Wade Heat run because Wade was still in his prime and was not taking a backseat to anyone. 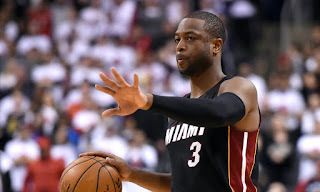 Quiet as it was kept, Wade was so good, and he was even able to play well in the short tenure during the playoffs, putting up 33.2 PPG, 5.6 RPG, and 6.8 APG with 1.6 SPG and 1.6 BPG in the 5 games he would play in the postseason. 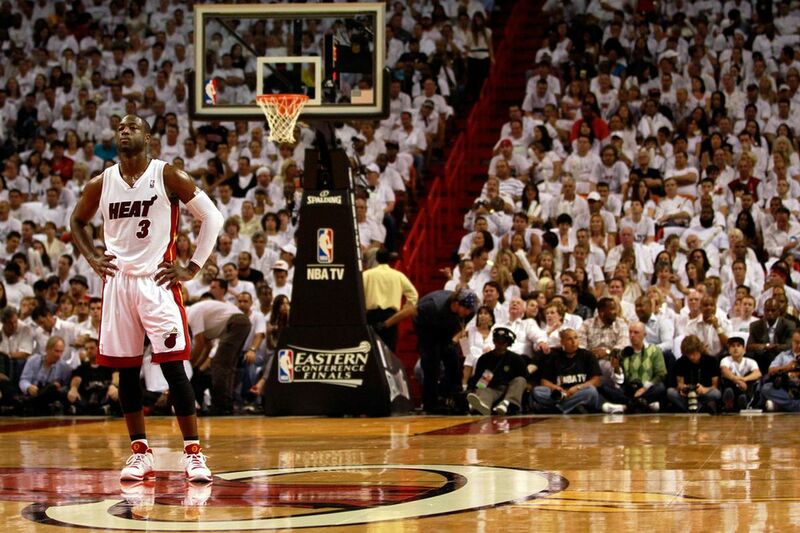 Wade was at his best, and considered a top 5 player by many, and for most, he might have been top 3 for his defense. At this time, it was Bron, Wade, and Kobe in some variation of the top 3, and Wade was magnificent once again. 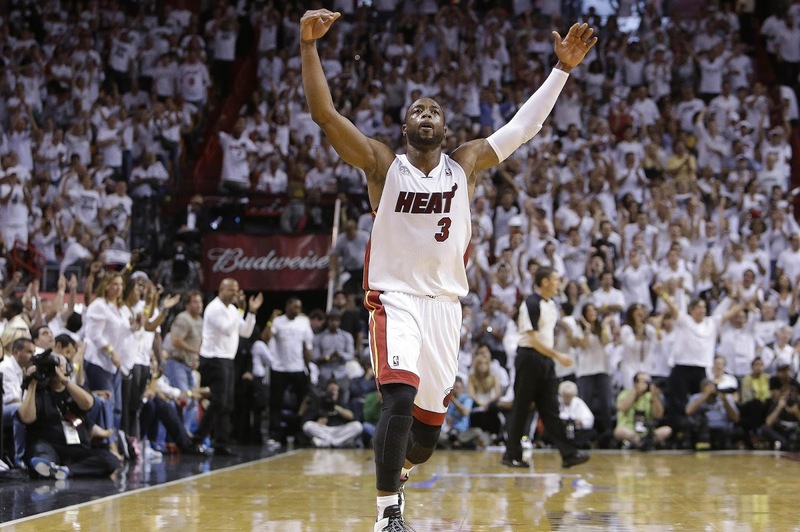 This season would be even more special if Wade would have pushed the Heat to higher heights, or maybe even the Finals again. Regardless, this is still a great season for him. -So, this was a successful year clearly. A 66 win season, a MVP victory for Wade's best friend LeBron, and of course, another championship victory. Wade didn't have the eye popping numbers of course, but he played in about 70 of the 82 games and was consistent for the most part. As injuries would become an issue for Wade later down the year and off and on during this Bron era run, this season was an amazing year overall, but it was clear who the no. 1 option on the team was. 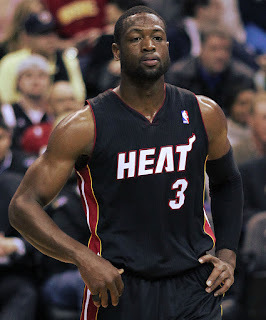 Wade would put solid numbers up, finishing the regular season with 21/5/5/2 on 53% FG and he was pivotal to the 27 game win streak, as well as their championship run, but his numbers did take a slight slip in the playoffs. 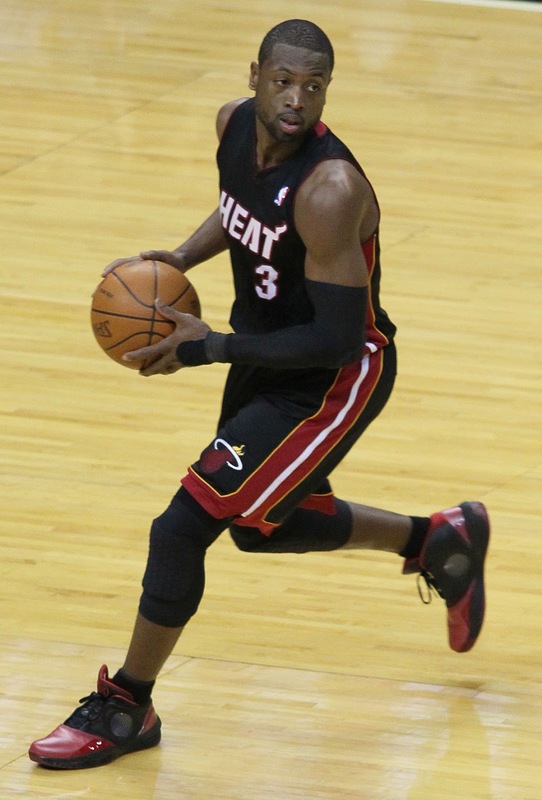 This was the beginning of the end for Wade, but he did manage to step up in the Finals here and there, finishing with 20/4/5/2 on 48% FG from the field to help win another title. Overall, this season was far from perfect, but the 66 wins, the title, and the 27 game win streak all take this season to another level for all involved. -The year that Wade was robbed of a Finals MVP by his own teammate essentially. 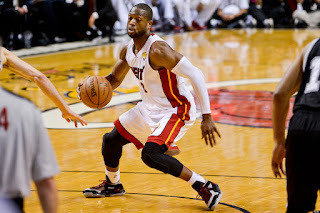 It is telling when you watch this season back, but it wasn't as clear cut on who was the better player for the Heat. Bron had decided to join Wade in Miami and together, they started off a little rocky, but soon enough, they would start to find that chemistry. 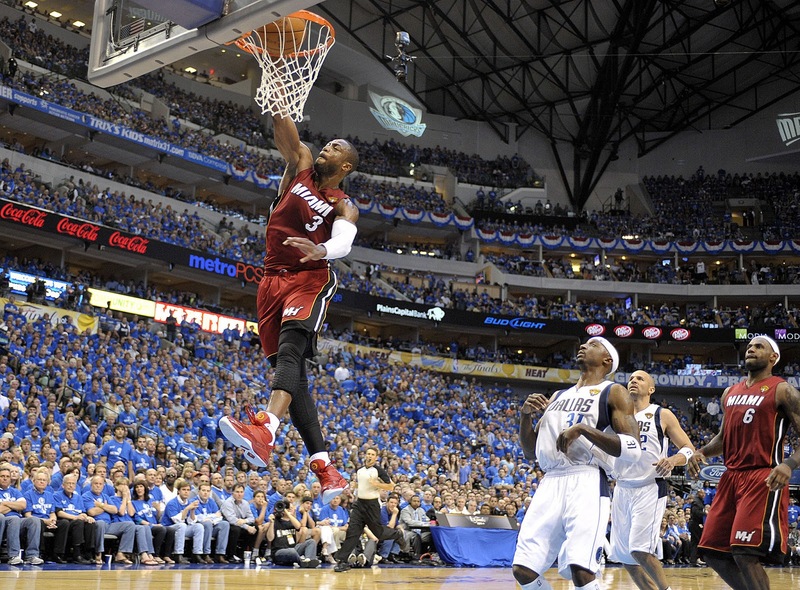 Eventually, the Heat would make it to the Finals to play the Mavs and had a 2-1 lead thanks to Wade. 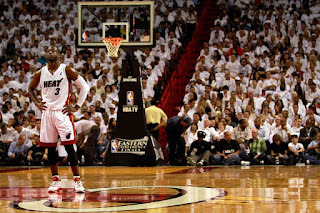 Unfortunately, one of the worst moments ever for a superstar occurred in this Finals and LeBron James would be a crucial part of the Heat losing three games straight to lose the Finals. 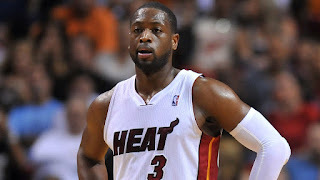 Wade however was amazing in the Finals and proved he was ready for the Heat era to begin. During the regular season, Wade found his comfort zone, and was still the same explosive player he had always been. The Heat went 58-24 and Wade finished another amazing season by averaging 26/6/5 alongside Bron's 27/8/7, making them a dynamic duo. This was probably the most equal those two were in the entire run of Miami, which was why I included this season over the 2011-2012 lockout season, which only saw Wade play 49 of the 66 games and the Heat finished with a slightly disappointing record despite winning the NBA Title. -This was an excellent year for Dwyane and if not for the lack of postseason success, this would have been the number one option. 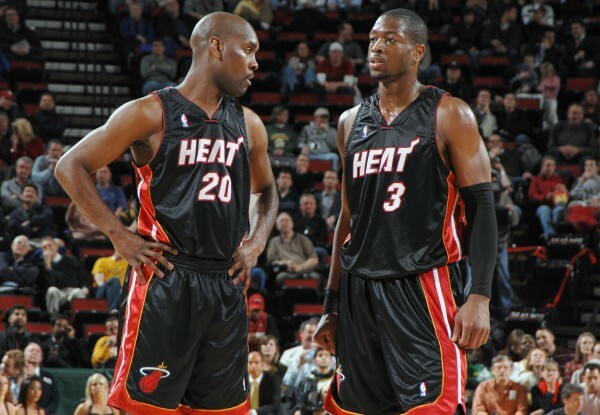 Wade was in his prime and a top 3 player in the league. He was a two-way player with laser like focus and precision on the court and as a result, he would have an excellent season. It would be a rough year for the Heat team wise, but without Wade carrying that team, they would have won about 14 games or so. He pushed them beyond 40 wins, won his one and only scoring title, put up a career high in assists, steals, and blocks per game, and was well in the running for MVP. Some say Wade had a better case for MVP than Bron or Kobe, and while I slightly disagree, given his circumstances I can see why someone would say that. 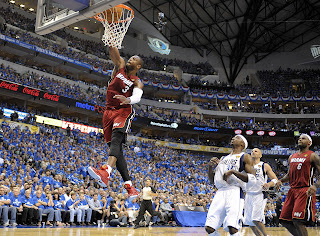 Regardless, this was an excellent Wade season and easily a top 2 year for Flash himself. 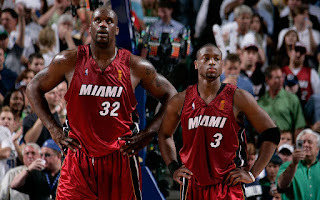 -Before LeBron and Bosh got to Miami, it was Wade County only. Sure, Shaq was there as well, but his impact was felt more during the 2004-2005 season than this one honestly. Wade was the driving force for this team and he was able to put up some amazing numbers in just his third season. Finishing with 27/6/7 is a great feat for any player in the NBA regular season, but the path that the Heat would take from here is what made this season so special for Wade and his career. Come playoff time, Wade unlocked his next level, putting up 29/6/6 on 50% through the playoffs, along with averaging 2.2 SPG, which is his playoff high. In addition, Wade would help lead the Heat over the Mavericks, earning himself the Finals MVP in a great performance. From the start of the season to the end of the season, Wade was amazing and he won not only a championship as the best player, but also Finals MVP.